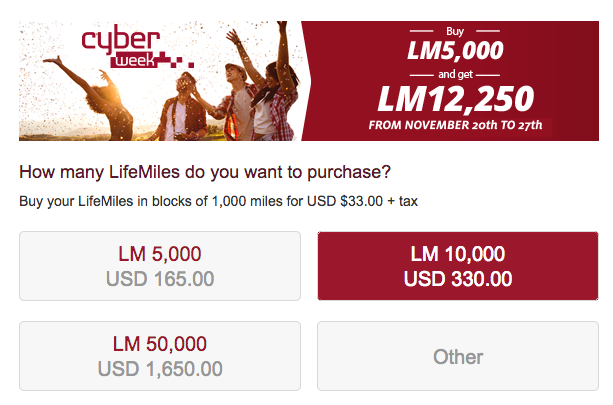 Avianca has launched a great buy miles offer for Cyber Week! It is not tiered, it is not exclusive to select blogs. 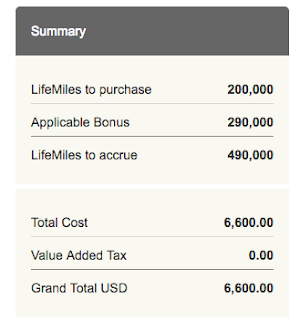 This is one of the best buy miles offers yet from Avianca due to these reasons. 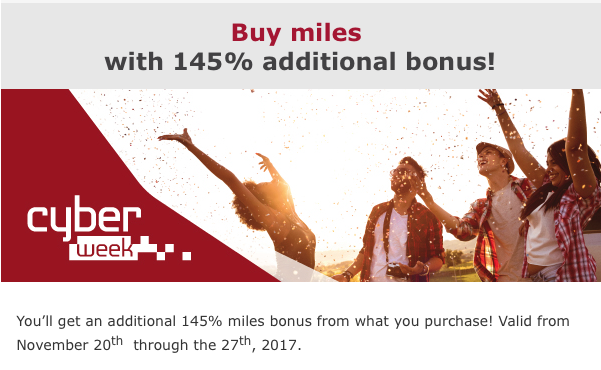 You can buy 1,000 miles and get the 145% bonus or you can buy 200,000 miles and get the 145% bonus! The price per 1,000 miles is USD33 which means you are buying miles for US 1.35 cents pre tax. If you have followed us for sometime you'll know this is a decent option to get Star Alliance flights on the cheap especially in business class. So what should you do? If you know that you can make your travel work and get the LifeMiles redemption(s) of your choice go ahead and buy the miles however I wouldn't buy them if you don't think you'll use them over then 3-6 months just in case another award chart devaluation comes along. Considering Avianca is a Star Alliance member this is a great way to get a lot of miles to use for Air Canada and this is actually one program you can look at as a stop gap measure if you are looking for an Aeroplan alternative where you can use miles on Air Canada indefinitely before AC launches their own program. Some things to consider with the buy miles option before you pull the trigger is that their call center tends to be on the less helpful side so you are better off booking award tickets online which also means you are limited to the powers of that source and they have devalued the program without notice in the past so only buy these miles if you think you will use them in the next short while.